Summer of Wonder Kickoff at Parkway Central! 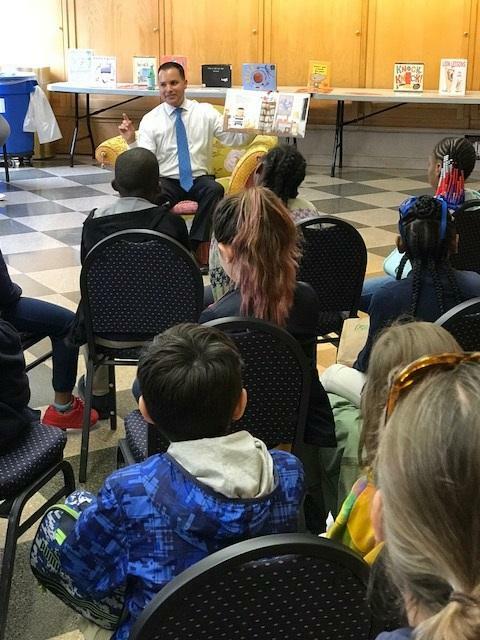 This week, the Free Library of Philadelphia celebrated the start of Summer of Wonder, our summer reading program, with an annual kickoff event featuring special guest visits and a whole bunch of fun activities at Parkway Central. 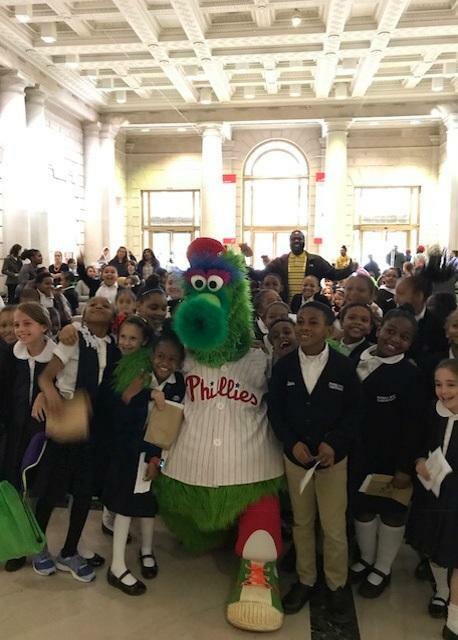 Students from Bache-Martin Elementary School and Russell Byers Charter School helped us ring in the Summer of Wonder at the event, and Mayor Jim Kenney and the Phillie Phanatic joined in the fun, too! 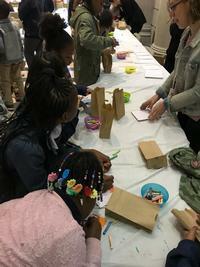 The kickoff included crafting with Philadelphia Museum of Art staff as well as a detective-themed activity with staff from the Rosenbach. There was illustrating with Greg Pizzoli—our 2017 Summer of Wonder artist—and, of course, story time! Similar events will be happening at neighborhood library locations all summer long, so keep an eye on our calendar of events for dancing, movie-watching, LEGO-building, and everything in between. You can also participate in the Summer of Wonder online. Create an account and find activity ideas, book lists, and much more at any time of day. Looking for something to read right now? Check out our suggestions of great summer titles! See you at the library, Philadelphia and have a wonderful summer! The Phillie Phanatic with students from Bache-Martin Elementary School and Russell Byers Charter School. 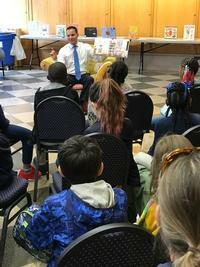 Story time with Anthony Rosado from Wells Fargo, one of our Presenting Sponsors. Crafting with staff from the Philadelphia Museum of Art. Add a Comment to Summer of Wonder Kickoff at Parkway Central!